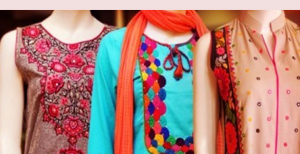 One of the most peculiar Brands having great name nationally as well as internationally, Nishat linen is Pakistan’s most popular clothing brand in fashion and textile industry. It is working a few decades ago and got incredibly unbeatable performance among its all brands of Pakistan. It is operating on its different clothing products and services like Nisha, Naqsh, and Naqsh Prince and Princess. Right now I am going to share their latest edition in which you will find the best Eid suits of the season. Nishat Linen eid collection 2018 comprises of perfect Eid three piece luxury suits in trendy designs and patterns. 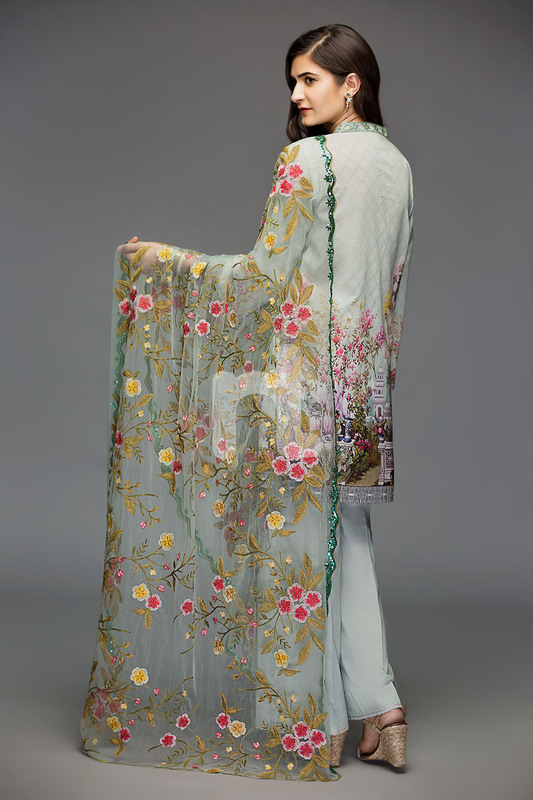 Use of cotton cambric, net, chiffon and silk done with the delicate set of embroideries gives it the ideal combo. Floral prints, digital prints, and embroidered designs are the part of this collection. We are going to feature the Nishat Linen Latest Eid Luxury Suits Collection 2018. 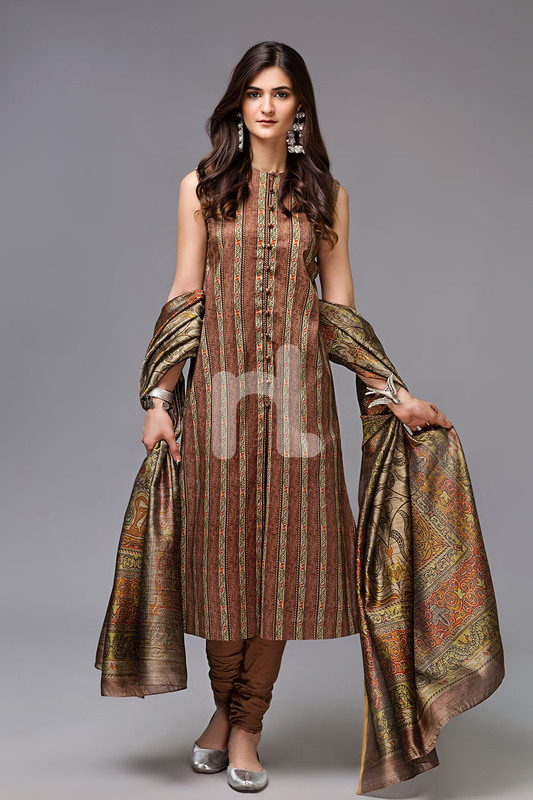 Elegant and classy beige colored suit is paired with a printed eid lawn shirt, embroidered fancy net dupatta. Match it with amazing accessories to rock. 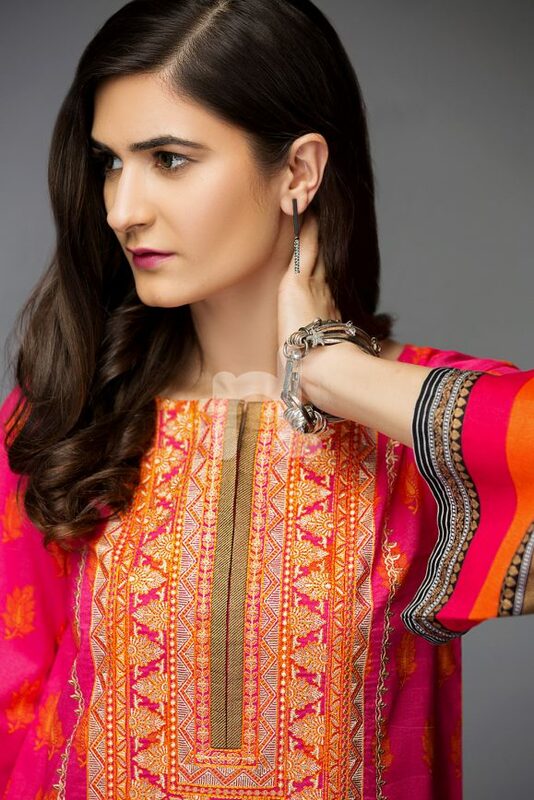 Vibrant and contemporary pink colored three piece unstitched embriodered eid lawn dress is paired with a digital printed lawn shirt, embroidered neckline, motifs, digital printed silk chiffon dupatta and dyed trouser. A lively, Vibrant and contemporary pink & parrot green colored dress is paired with a printed leid lawn shirt, embroidered neckline, printed blended krinckle chiffon dupatta and cotton bottom. The comprehensive Nishat Linen Latest Eid Luxury Suits Collection has eventually out, and their full assortment has released now. You can also pick the clothes through their official site, or you may buy it from any physical store nearest to you. Nisha Eid collection comprises of pret series, two and three piece suits that are comfortable and stylish to wear on this Eid event. Nishat linen is the most reasonable and affordable among other brands, their prices of the recent collection start from 32,00 pkr to 6,500 pkr. 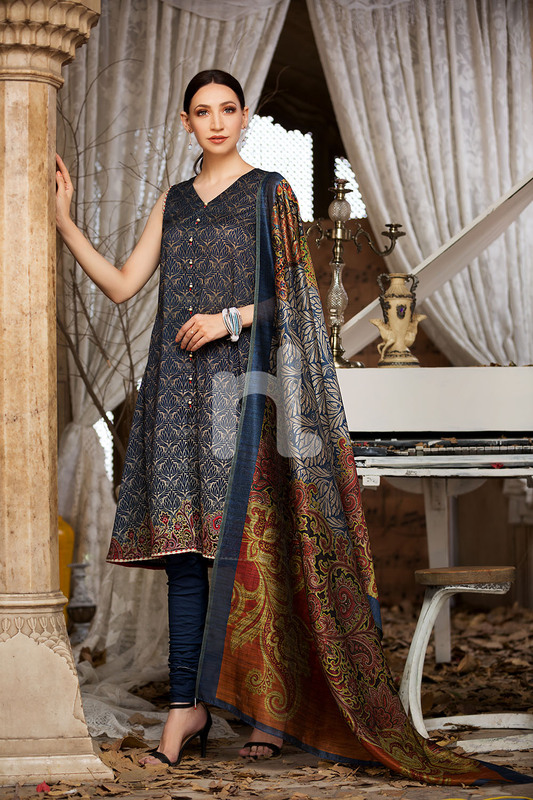 The dresses posted below are designed beautifully with digital prints and adornments/embroidery work. The stitching style in most trendy and simple which is the updated according to the latest trends nowadays. Chic and classy grey colored three piece unstitched lawn dress is paired with a digital printed lawn shirt, patterned front, digital printed silk chiffon dupatta and pants. 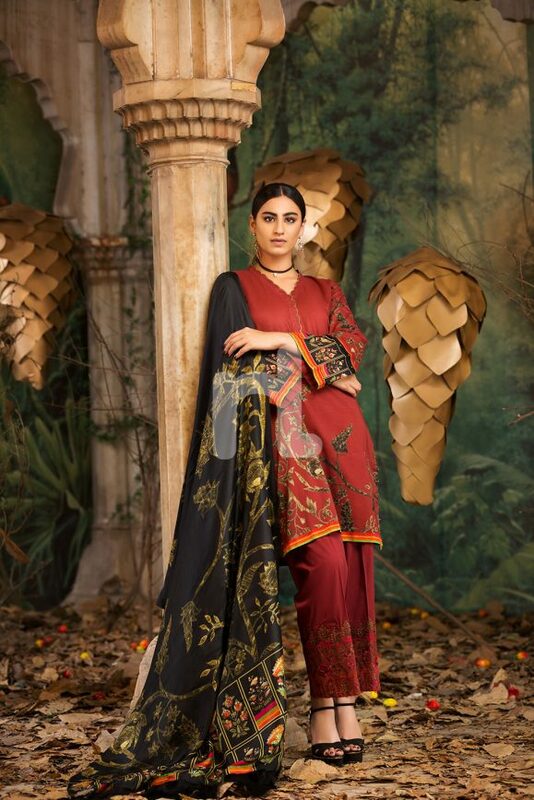 Bold and magnificent black colored three piece unstitched lawn dress is paired with a digital floral printed lawn shirt, digital printed organza silk dupatta and dyed bottoms. Elegant and magnificent green colored three pieces unstitched lawn dress is paired with a digitally printed lawn shirt, embroidered front, Patti, embroidered net dupatta and dyed cambric trouser. Elegant and magnificent beige colored three piece unstitched lawn dress is paired with a printed lawn shirt, printed viscose net dupatta and dyed cambric trouser. A graceful ensemble from Eid’18 collection by Nishat Linen to flaunt the festive hues. 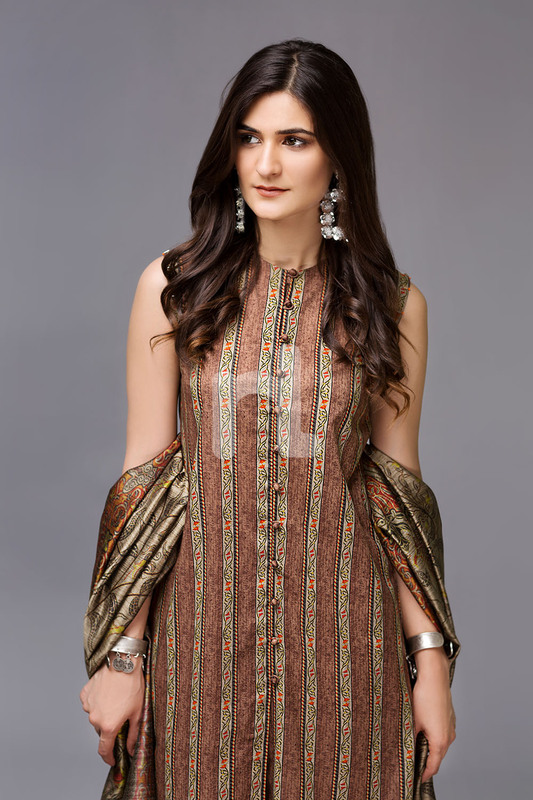 Bold and classy brown colored three piece unstitched lawn dress is paired with a contemporary stripe printed lawn shirt, digital printed banarsi silk dupatta and cotton pants. 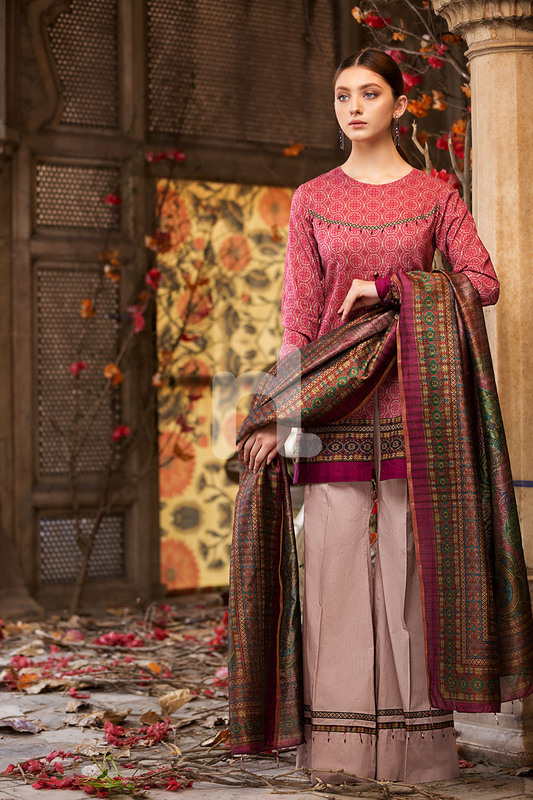 Vigorous and vintage pink colored three pieces unstitched lawn dress is paired with a printed lawn shirt complemented with an embroidered center panel, printed voil dupatta and dyed cambric trouser. A perfect Pakistani Eid dress wear on festivals. Energetic and contemporary green colored three piece unstitched lawn dress is paired with a stripe printed lawn shirt, two embroidered motifs, printed krinckle chiffon dupatta and dyed cambric trouser. A magnificent green and orange contrast colored three piece suit paired with an ethnic design printed lawn shirt, embroidered border, printed voil dupatta and cotton pants. Bright and light colors are implemented together to produce the best combinations of color for the festive season, as we know summer is going so mostly suit pieces are of light pastel shades. Colors like peach, mint green, sky blue, beige, light orange, ferozi, black, off-white, cream, gray, etc. are used. The two-piece suits are quite charming and reasonable to buy; they have the soothing floral prints and light embroideries. The luxury three pieces Eid suits are mostly made up of cotton, chiffon net and crinkle fabrics with delicate cross stitch works. They are matched with silk, cambric, and chiffon dupattas. I hope you will love this beautiful series of dresses and can resist yourself to buy. 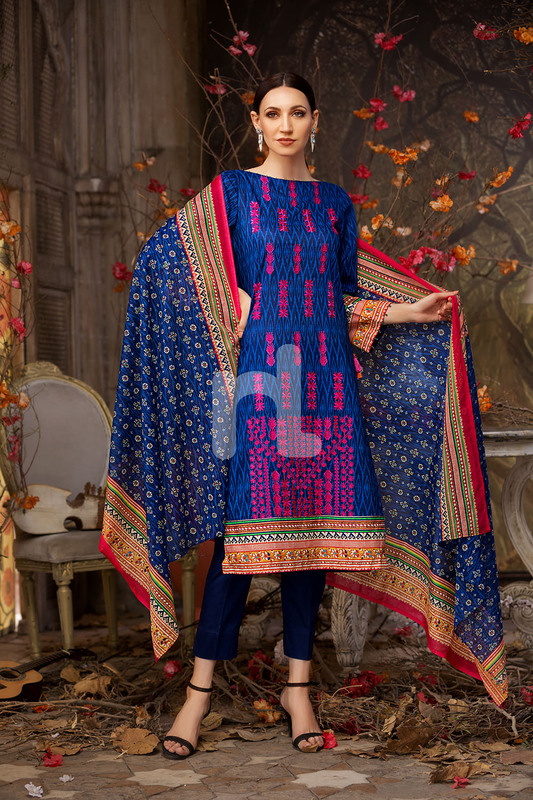 Check, the image gallery of Nishat Linen Latest Eid Luxury Suits Collection. 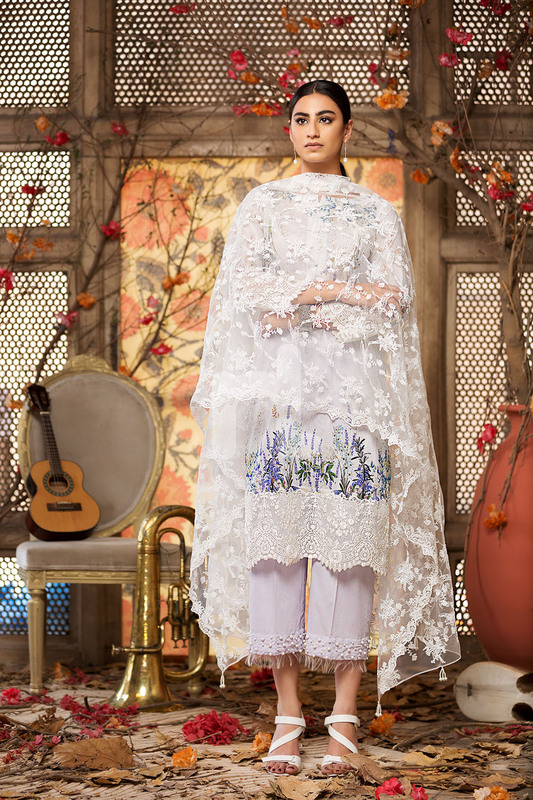 Keep visiting us for more enchanting Eid embroidered collections!